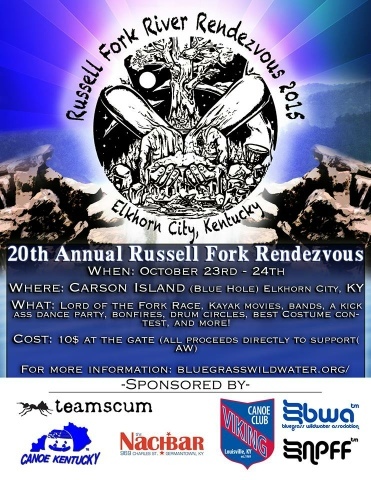 RUSSELL FORK RENDEZVOUS ~ Late Season Dirtbaggin in the Heart ofKentucky. 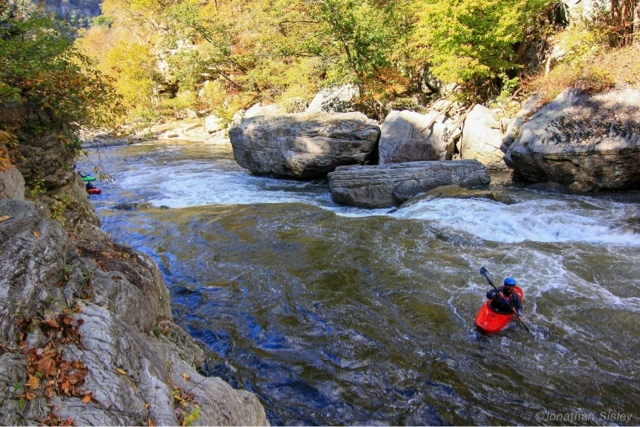 by Chicago Mike Toughill, photos by Jon Sisley | DBP MAGAZINE ONLINE The World's Best Free Whitewater Publication. 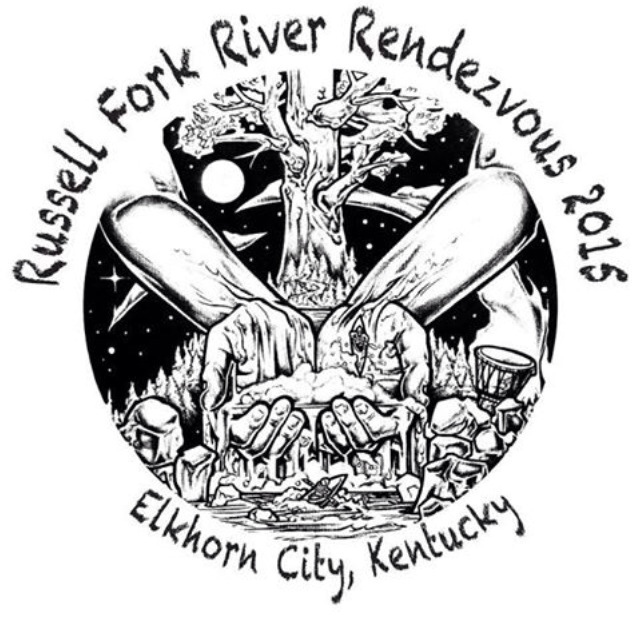 The Russell Fork Rendezvous, one of the great late season paddling festivals in America, kicks off tomorrow at Carson Island, outside Elkhorn City, KY. 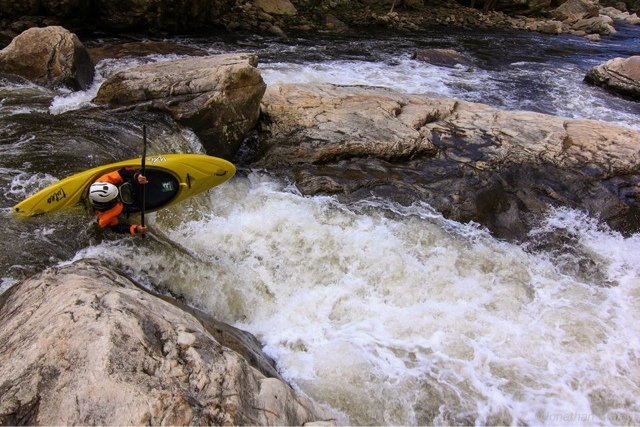 This river is a favorite of many of the Admins of the Dirt Bag Paddlers Facebook page, and you will see some big names, including our very own Aaron Erdrich, competing in what is one of the best whitewater races around. 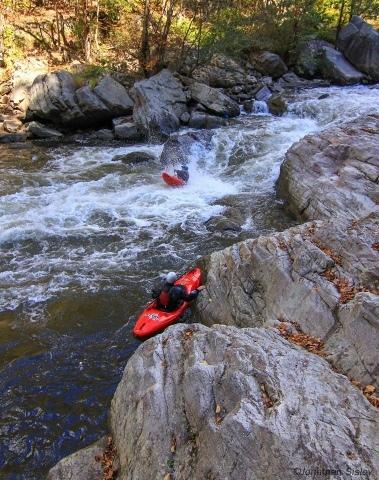 DBP caught up with Bluegrass Whitewater Association President Bob Larkin to find out more about what’s in store for all the dirtbags streaming in for the festivities. 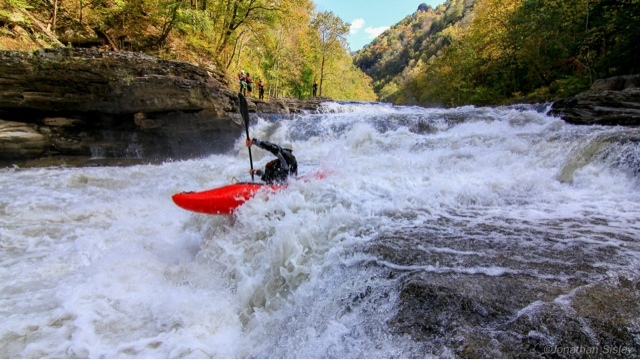 DBP: This weekend is the Russell Fork Rendezvous, and dirtbags including many Admins are flocking to Kentucky to get in on the epic action and post-paddle fun! Can you give us a quick run-down of what everyone should expect? 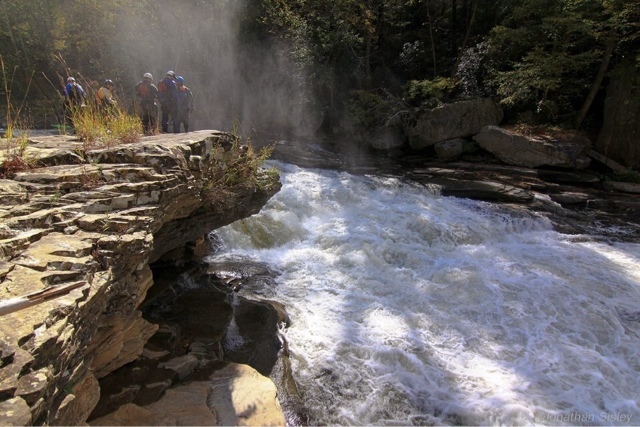 DBP: This river is renowned throughout the SE as one of the top Class V destinations. 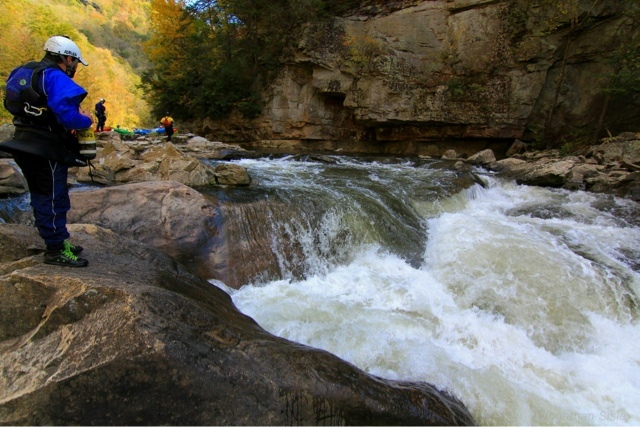 Please draw a picture for those who’ve never made the paddle of what the Russell Fork is all about, and tell us why you think it’s such a legendary stretch? 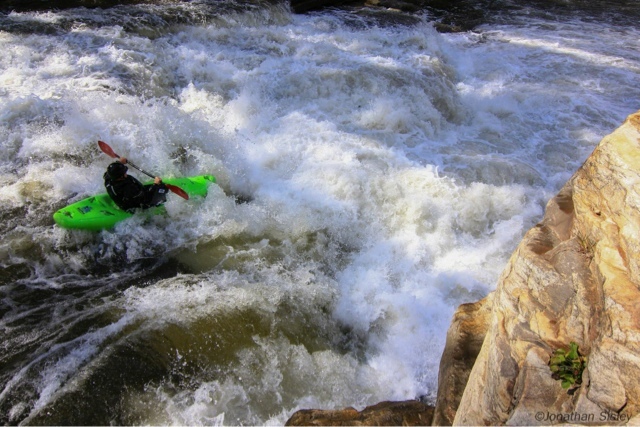 The Croatian Sensation George Kaider sending El Horrendo, photo by Mike Croak. DBP: The rapid that transfixes all who dare to send the Fork is undoubtedly El Horrendo. Tell us why this Class V monster rules all. 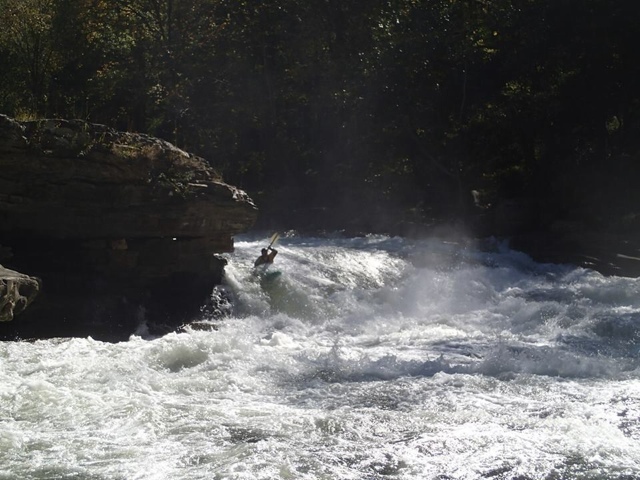 DBP: The Rendezvous, benefitting American Whitewater, is hosted by Bluegrass Wildwater Association, a group we at Dirt Bag Paddlers has come to love through the National Paddling Film Festival held every winter in Frankfort, KY. Can you tell us a bit about the mission and history of BWA? DBP: We see there’s a costume competition this weekend at the Rendezvous. Dirtbags love a costume party! 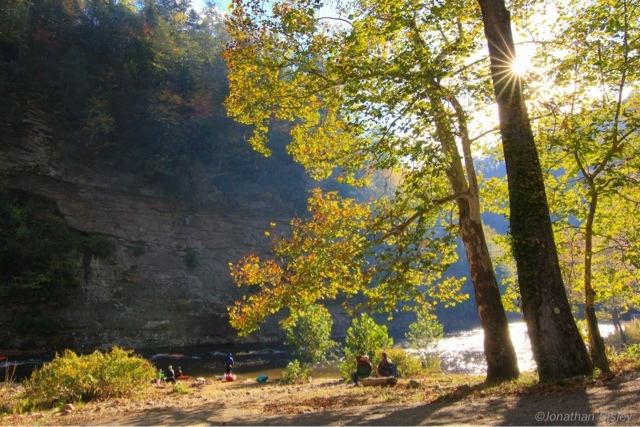 (I dressed as Tigger the Tiger at Gauley Fest during this year’s Dirtbag DJ Danceparty, hahah!) Care to divulge any dirt on what a certain President of BWA might wear? DBP: What is the story behind the name of the race, LORD OF THE FORK? DBP: Thanks so much for your time, Bob and Brent, and we wish you and all involved good lines and great luck this weekend! Got any last words to share with the Dirt Bag World?